Visiting Brasília just got even better with the ibis Styles Brasília Aeroporto, a hotel with the quality expected of Accorhotels. With modern décor inspired by the city's architecture, which is known and admired worldwide, our rooms include soundproofing for your comfort and peace. The hotel features 361 rooms offering the perfect combination of modern décor and practicality, including 18 fully adapted rooms for people with reduced mobility. Suite with a double bed and a sofa bed. How would you like to enjoy national and international cuisine at a fair price? Our restaurant offers a varied menu, as well as a themed lunch buffet featuring Italian cuisine on Mondays, Arabic cuisine on Wednesdays and feijoada on Fridays. 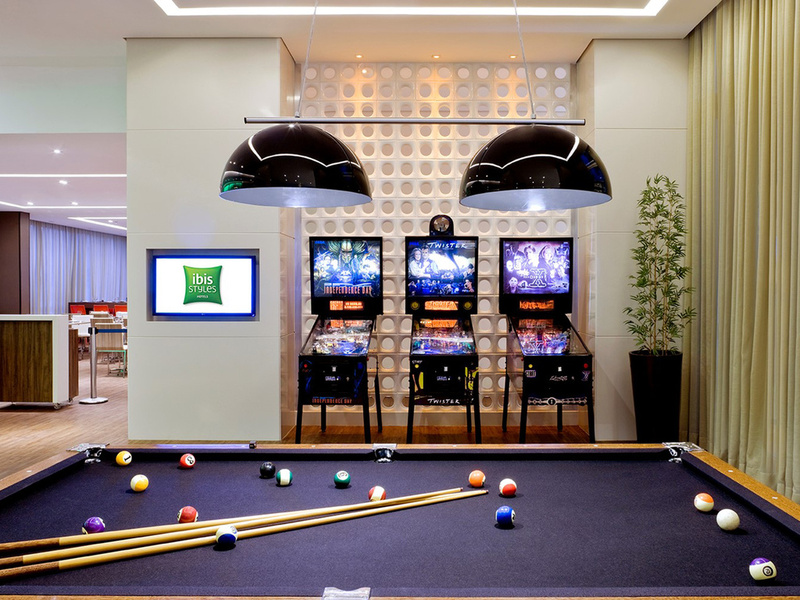 Located next to the games area, this is the ideal place to relax and unwind at any time of day. Serving a delicious menu of appetizers, quick snacks, alcoholic and non-alcoholic drinks and a unique Happy Hour.